USB flash drives are small, portable flash memory cards that plug into a computer USB port and function as a portable hard drive. USB flash drives are easy to use as they are small enough to be carried in a pocket and can plug into almost any computer. USB flash drives are in general faster, removable and are rewritable, They are more durable and reliable than many external hard drives due to their lack of moving parts. USB flash drives draw power from the computer via the USB connection. Interestingly some people use a FLASH drive as a mobile PC using portable applications. This means that wherever they go in the world they will be able to launch their regular suite of application. Other developments included expandable flash drives that use cloud storage and flash drives with biometric protection to help secure data. 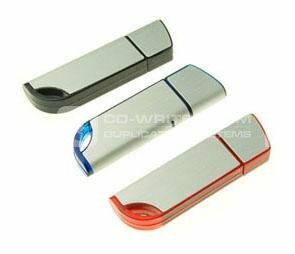 At CD-writer.com we supply thousands of flash drives per year to companies and individuals. If you require custom flash drives then please call us today on 020 8293 0777.